Many webmasters do not consider the ramifications that mobile browsing has on their ability to properly attract traffic and increase revenues. 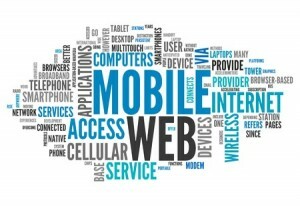 Unbeknownst to them, mobile traffic now accounts for over 20% of all web traffic in the world. The number is even higher when considering special, often sought-after markets in the United States, the United Kingdom and other first world countries. In order to understand more about these specific META tags, we will review the basics of them and outline just why they are so important to you when it comes to reaching certain crucial segments of your niche market. What Are Mobile META Tags? In technical terms, mobile META tags are used when the DOCTYPE for your site is in XHTML-MP or WML format. The simple explanation is that the two aforementioned formats are specifically designed for mobile platform use and the META tags associated with them are therefore automatically optimized to work on mobile browsers. Other than this key difference, mobile META tags work just the same as any other traditional META tag; they serve to provide information to the browser, crawler or visitor in question about the finer details of your website. Obviously, META tags are used to drive traffic to your site by properly classifying the contents of your site into easy to read information for search engine crawlers and bots. For individuals using mobile browsers and more particularly, mobile versions of search engines, your site may not be displayed at the top of the results even though it is on traditional computers and search engines. Having these tags properly inserted and configured in your site will instantly increase the amount of mobile traffic coming to your site. Also, for those who rely on purchases to make profit from their site, mobile browsing is far more common among the key target demographics for most products. There are three main mobile META tags that any webmaster should plan to incorporate into their site in order to make it mobile-friendly. The first one is the MobileOptimized tag, which defines the layout width within IE/Windows Mobile browsers. Second, the HandheldFriendly tag is now used by virtually all browsers as a way of identifying mobile friendly websites. The final tag is the Viewport tag, which allows individuals to zoom in and out of any particular webpage without incident. This tag is especially helpful for maintaining one version of your site that can be used both with traditional and mobile browsers. Need Help Generating Meta Tags? For those who are reading this and had not understood until now the importance of META tags, you may be concerned or overwhelmed at how you will begin generating and inserting these tags into your existing site. Pingler has a solution for that, the Meta Tag Generator Tool. For each page in question, you can generate a meta tag list including the page title, description, keywords, author, owner and an optional copyright section. This can make meta tag generation far quicker and easier than simply typing out each meta tag by hand. You can make dozens of these in no time at all! « Is Digg Digging Its Own Grave?